List of the latest Chinese TV series in 2019 on tv and the best Chinese TV series of 2018 & the 2010's. Top Chinese TV series to watch on Netflix, Hulu, Amazon Prime & other Streaming services, out on DVD/Blu-ray or on tv right now. 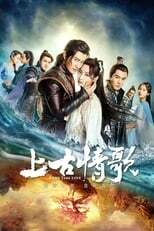 2018, 2017 & the 2010's best rated Chinese TV series out on DVD, Bluray or streaming on VOD (Netflix, Amazon Prime & Hulu). A prestigious school in China resides a group called the F4, a group of friends comprised of the richest boys in the school. 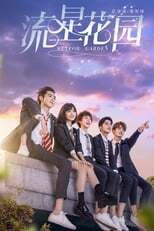 An ordinary girl is allowed to attend the school, and quickly encounters the boys. Feng Zhiwei, a respected Chinese warrior has a chose to make when a secret comes out. Will he be loyal to his prince, or shall he seek revenge for himself. 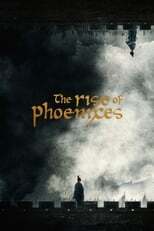 The Chinese action drama series is based in the past with mysteries and fantasies thickening its plot. 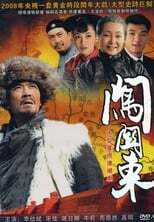 A period drama about a prominent family during the Ching Dynasty. After the second world war, a spy is trapped within his job as he cannot be with his true love. A fun comedy series about a group of friends in Qixia Town. The drama is based on the Stephen Chow's version of the Chinese Odyssey movies about the figure of the Monkey King. The movie series was incredibly popular, and this appears to be a big production. A story about a family moving to the Northeast in China between the end of the Qing Dynasty to the outbreak of the Second World War. The stories of three nieces: a romantic lawyer, a stubborn city girl and a young cook who is sent to England by her mother. A time travel story by accident. A plain and ordinary guy travels to a place in the near distant future, and become a legendary king, the Monkey King. A typical romantic show from China. It's about a dentist, Cheng Hao, who has a hobby of helping other find love, but has never been in love himself. At least, not until he meets Luo Yue. The Chinese do it different – you will not find a show that is very similar to the Western standard of television making. Below, you’ll find the best series from China if you’re in for something complety different.